Coping with the symptoms of sinusitis can be a miserable experience. If you have been suffering from sinusitis you are probably anxious to find a doctor who can help you find a solution. The treatment you receive and the type of doctor(s) you see will depend on what type of sinusitis you have and how bad it is. While acute sinusitis is viral in nature and should eventually clear up on its own, chronic sinusitis is bacterial and can be difficult to overcome. Repeat infections can lead to headaches, issues with breathing, excessive drainage from the nose into the throat, and other problems. Eventually, infection can spread and cause a host of other issues. Your primary care doctor may begin by sending you for allergy testing or prescribing you antihistamines, nasal steroid sprays or antibiotics. If these prove ineffective, you may need to have sinus surgery. If you are suffering from symptoms that appear to be sinus related, the first thing your primary care physician will do is refer you to an otolaryngologist, otherwise known as an ear, nose and throat specialist, or ENT. Otolaryngologists are among the most respected specialists in medicine, as the field is highly complex and achieving board certification in otolaryngology-head and neck surgery takes years to achieve. To become board certified in otolaryngology, candidates must complete five years of training followed by written and oral certification exams, among other requirements. One of the subspecialty board certifications of the American Board of Otolaryngology is plastic surgery within the head and neck. An otolaryngologist with training in this area will have more experience performing plastic and reconstructive procedures of the face, head, neck and affiliated structures, such as maxillofacial trauma management, soft tissue repair, cutaneous head and neck oncology and reconstruction, and cosmetic surgery. Ideally, your sinus surgeon should be trained in this subspecialty and have board certification in facial plastic surgery. It may seem strange that sinus surgery would affect the outward appearance of the face, but sometimes it does. An ENT with facial plastic surgery expertise will have a better idea of how the actions taken during surgery will affect the aesthetics of the nose and surrounding facial features. Otolaryngologists who are also board certified facial plastic surgeons receive certification from the American Board of Facial Plastic and Reconstructive Surgery (ABFPRS). 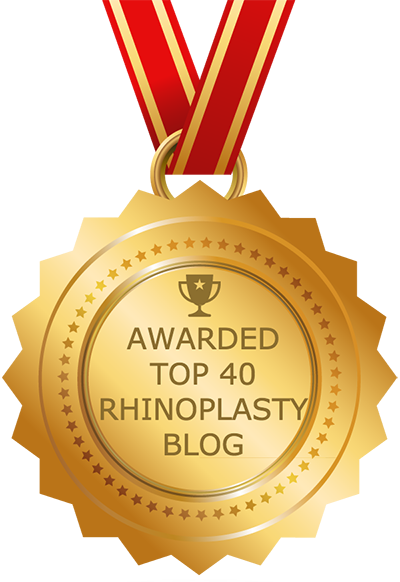 Most surgeons who receive this certification do a residency in otolaryngology-head and neck surgery, but some do their residency in general plastic surgery. What you are looking for is the former, because the latter does not have training in surgeries involving the sinuses. Board certified facial plastic surgeons are required to pass a thorough examination that is conducted by the ABFPRS. These surgeons are also required to hold approved licensure and agree to adhere to the ABFPRS Code of Ethics. Surgeons seeking to be board certified facial plastic surgeons also must to show that they have performed numerous surgeries, including a minimum of 100 facial plastic surgeries. Where did you complete medical school? In which field is your residency (i.e., otolaryngology or plastic surgery)? Did you go on to complete any other training or fellowships? Which medical organizations are you a member of? Would I make a good candidate for sinus surgery? Why or why not? How many days should I expect to be in recovery? Are there any potential side effects of sinus surgery? What are they? How should I prepare for sinus surgery? Where do you perform sinus surgery? Do you have accredited facilities? Do you have a before and after photo gallery that I can peruse? Once you have completed your sinus surgery research, refer to the website of the American Academy of Facial Plastic and Reconstructive Surgery, where you can use the MD finder to find a qualified ENT/facial plastic surgeon to perform your surgery.